It’s everyone’s favorite time of year: the time when we shed our scarves, break out the patio furniture, and gear up for some glorious summer grilling. When grilling skinny vegetables like asparagus, snap peas, and okra, skewer multiple pieces together crosswise so they don’t slip between the bars of the grate. 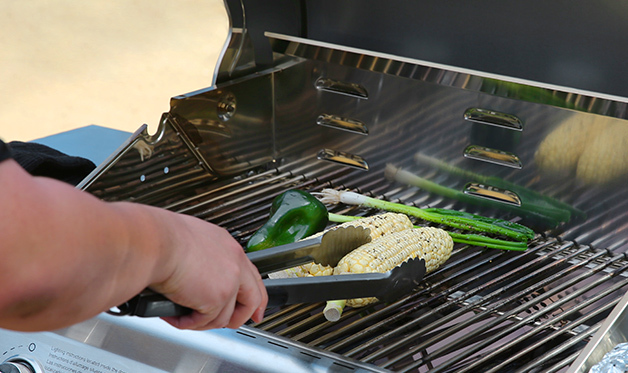 Use direct grilling for high water content vegetables like peppers, onions, mushrooms, asparagus, and corn on the cob. Use indirect grilling for dense vegetables like potatoes, sweet potatoes, carrots, and beets. Avoid cross-contamination between raw and cooked meats by wrapping the platter or plate with plastic wrap. Place your raw meat on the platter and take it to the grill. Once the meat is on the grill, remove and discard the plastic wrap. That way, you can use the same platter for serving the cooked meat. If your tongs touch the top of a raw burger on the grill, no need to fret. 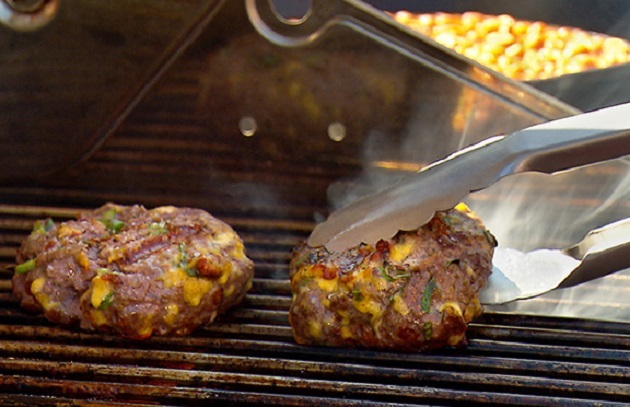 The heat from the burger sterilizes the tongs, even if the meat is raw. Click here to see more Tips from BUSH’S BBQ Bootcamp.